Thanks so much for faving and watching! I'm glad you liked my story! 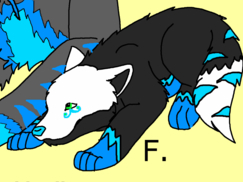 Sorry I've been AFK since 2014 O.o Hope the world has left you in high spirits, and if you could please see what I've already begun to post after this long hiatus... From Ice Cream to Topping (new chapters) https://inkbunny.net/s/1759727! Your King welcomes you to his ever evolving realm and appreciates the support you give him!